Need a Car Service in North London? 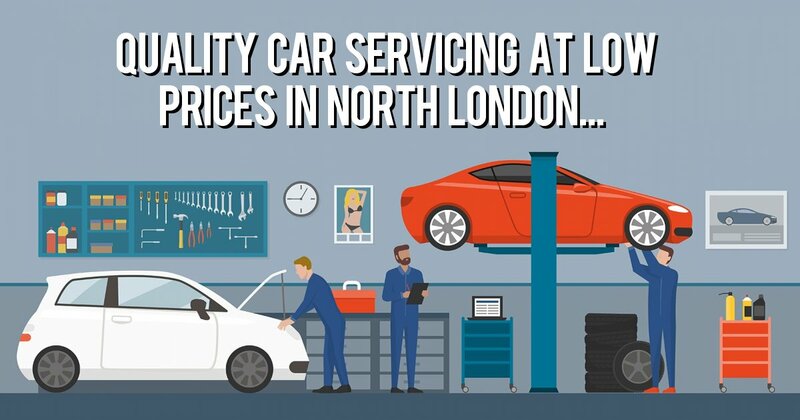 When you need to arrange a car service in North London, how do you know which level of service is the best one for you to have? What do you base it on? Here are Garage Express, based at our large independent garage in North London, we have created a range of car service levels which offer the flexibility to choose the right car service based on the age of your car, the number of miles you do and the time since your last car service. This is our entry level car service that will, amongst other things, change the oil and oil filter helping to keep your engine running smoothly. The additional basic car service checks we carry out highlight any issues that we then report back to you on the severity of issues and therefore if there is any work required. This flexible approach means you do not have to pay higher amounts of money to find out if there are any basic issues. Our mid-range car service expands on the checks we carry out on the silver level car service giving a more detailed report to you on anything that may need to be worked on. This is a great value for money car service and will help to avoid any costly breakdowns if any issue was not spotted early. Our platinum level car service further expands on the checks and top-ups we carry out for the Silver and Gold car services. The comprehensive car service provides a thorough insight in to the engine and consumables, meaning your car will be running perfectly. A full list of checks is available on our Fixed Service Price page. After we have carried out the car service of your choice, if our mechanics and technicians discover any problems or issues that need some attention, we advise you on the work required. We will let you know any additional costs and time scales to fix them, so there are no horrible surprises. If we feel it will help with the discussions, we can take photos to help show where the issue has arisen and therefore the work needed to repair the problem. We have found this to be a very useful way of discussing work with our customers. To see the full details on our London based car service levels and cost, we have this page detailing the check lists. Alternatively, if you would like to discuss your next car service, please give us a call on 0208 905 8788.